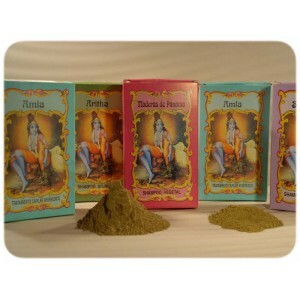 Thanks to its rich properties, henna is a true gift of nature, being used since the ancient Egypt. With natural extracts of chamomile. 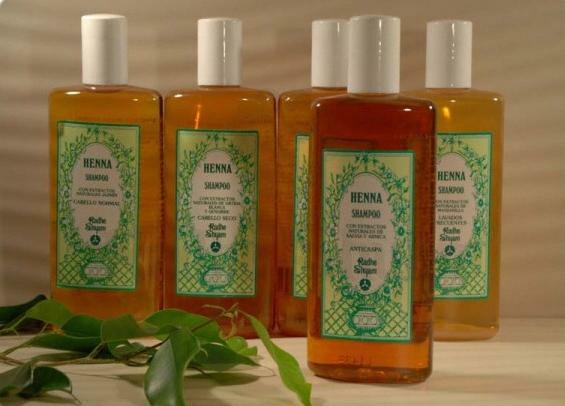 The regular use of Henna shampoos from Radhe Syham, with natural extracts from organic farming, gives a new life to your hair, with incomparable shine and texture. Without parabens, sodium lauryl sulfate or sodium laureth sulfate, mineral oils, synthetic dyes, alergens, silicone or phthalates. Ingredients: Aqua, Glycerin, Sodium Lauroyl Methyl Isethionate, Cocamidopropyl Betaine, Stearyl Dihydroxypropyldimonium Oligosaccharides, Sodium Benzonate, Parfum, Citric Acid, Potassium Sorbate, Trisodium Ethylenediamine Disuccinate, Chamomilla Recutita Flower Extract*, Lawsonia Inermis (Henna) Leaf Extract. Suggested use: Apply a small amount of shampoo to your wet hair, massage and wash with abundant water. Repeat the process if necessary. 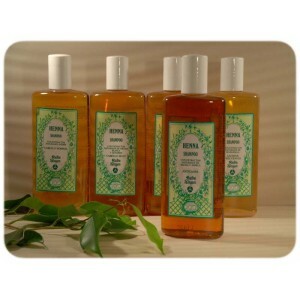 For a better result finish with a Henna conditioner from Radhe Shyam. In case of contact with eyes rinse with clean water immediatly. Keep out of the reach of children.